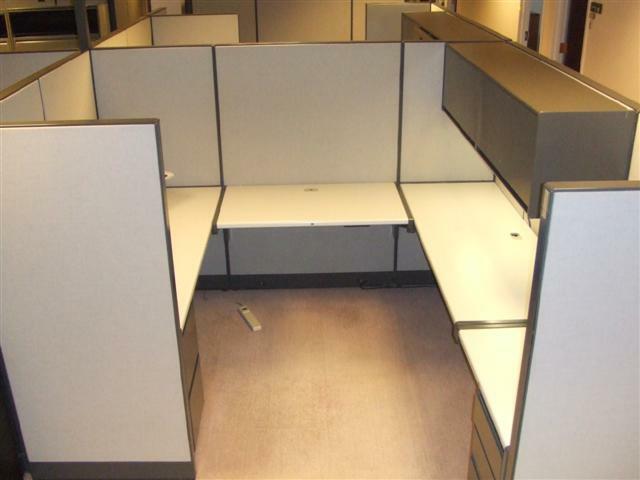 Description: Kimball Cetra 8'x8' wood trim U-shape Cubicles. 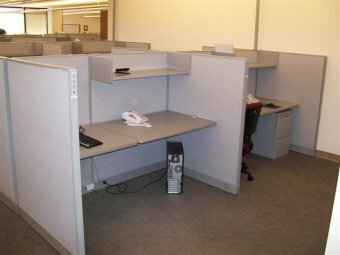 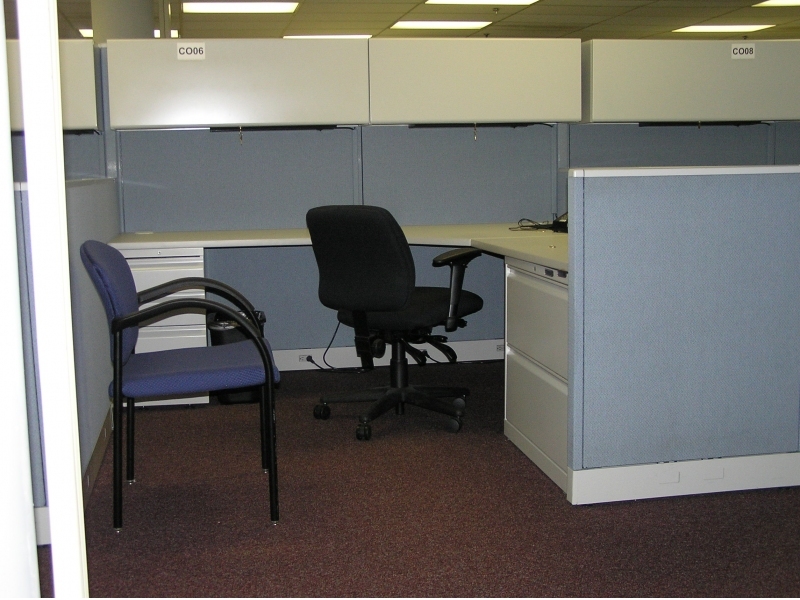 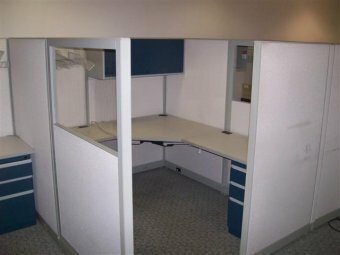 Each cubicle has two-tone fabric. 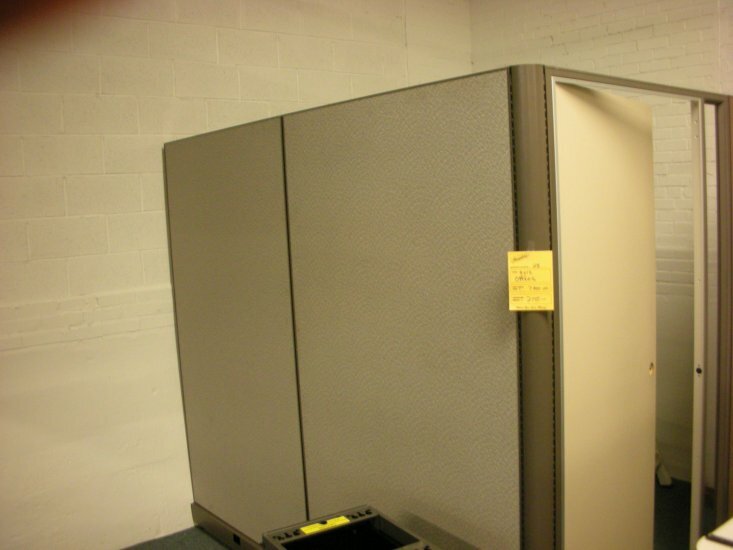 Close up picture of fabric available upon request. 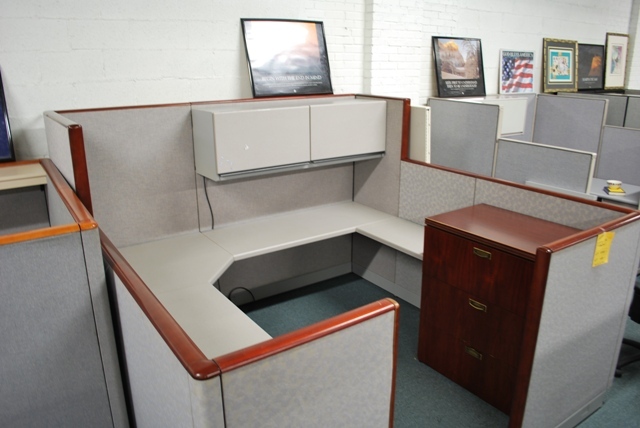 Each cubicle comes with 2 overhead storage compartments, one 3 draw.. 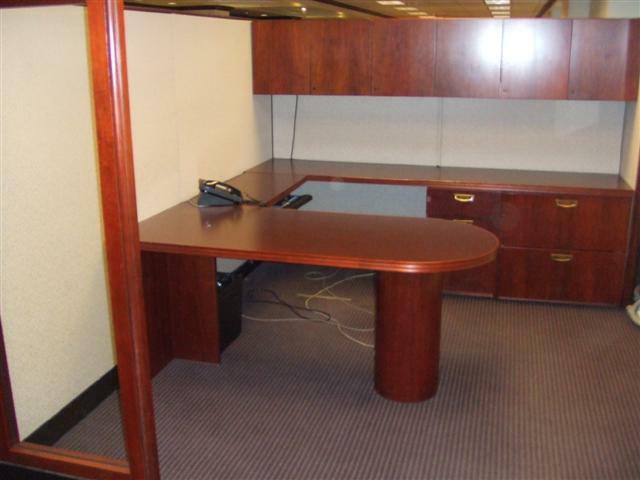 Description: Beautiful Kimball Mahogany Wood Cubicles. 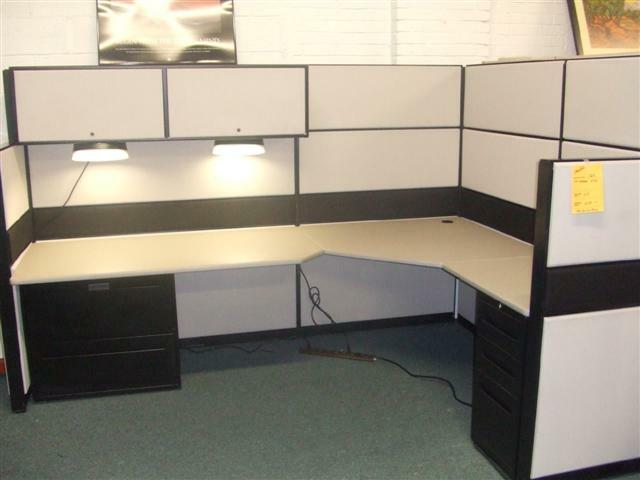 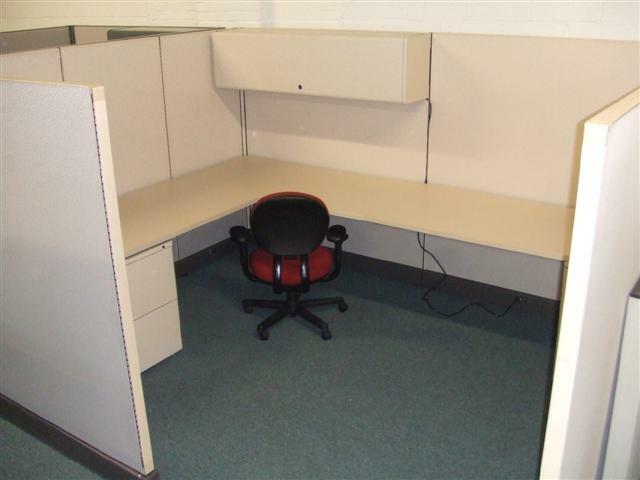 Come with all wood worksurfaces, overheads, pedestals and filing cabinets. 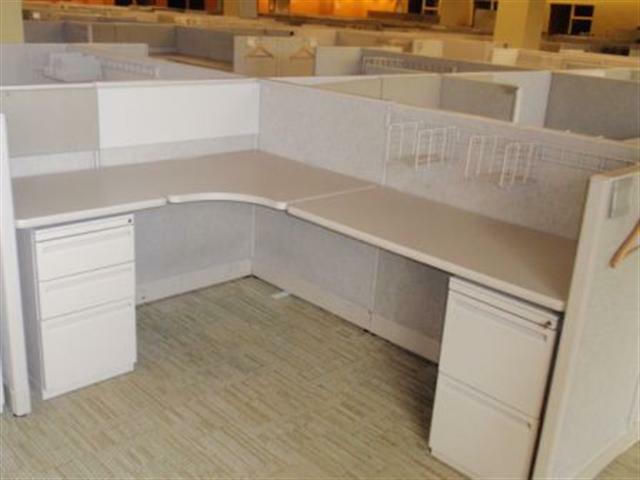 We also have additional matching 2,3 and 4 drawer matching lateral files and bookca.. 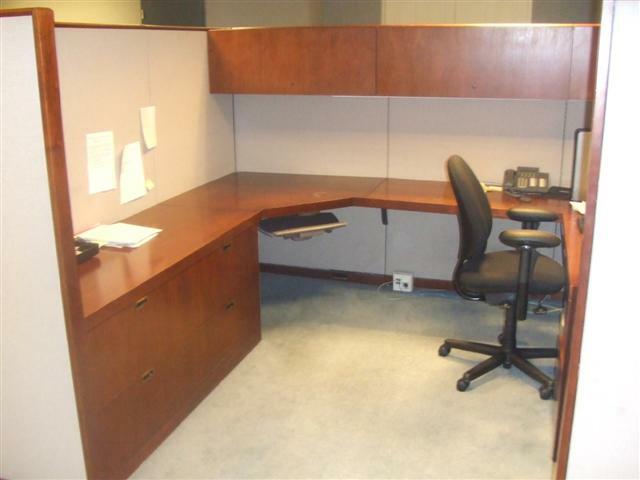 Description: Gunlocke all wood cubicles, very rare, custom built in very good condition, originally over 10K each.